Welcome to the BEST PRICED condo in Aspen Woods! 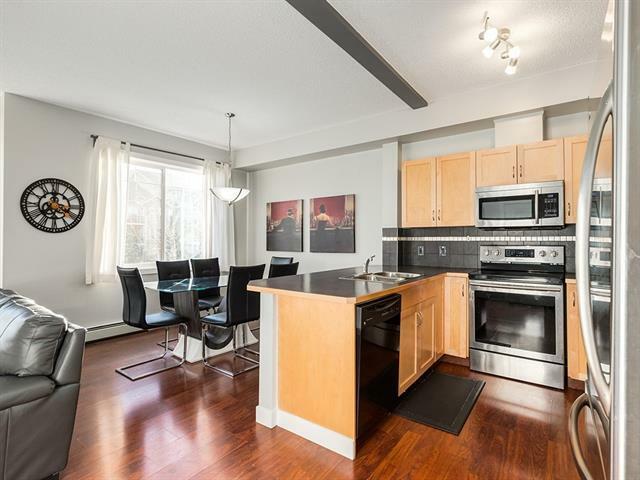 This spacious Multi-Level unit has an open concept and TWO BALCONIES. The main floor features a large living room with tons of natural light & access to a large balcony, great for barbecuing. 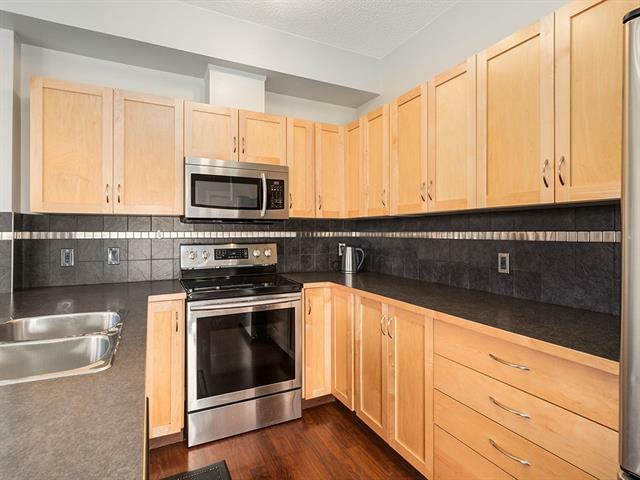 The kitchen has maple cabinetry, accented with tile back-splash & sleek Stainless Steel Appliances, notice the dark walnut flooring. The main floor is complete with in-suite laundry, a large storage room & 2 piece powder room. 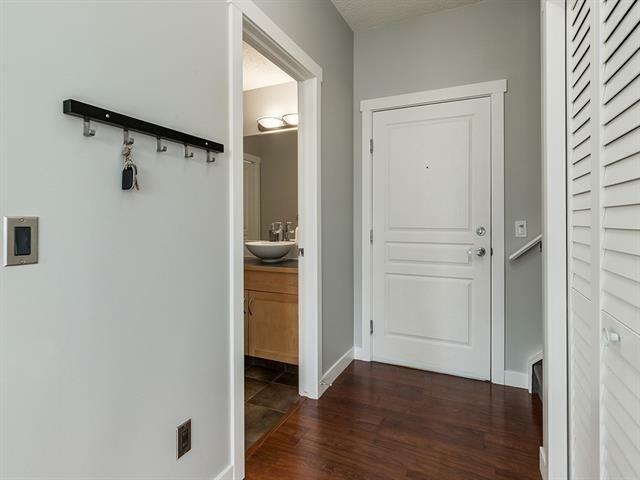 Retire upstairs to the master retreat with walk-in closet & 3 piece ensuite. A second spacious bedroom with access to the second private balcony & 4 piece main bath complete the upper floor. Park your car in the heated, private underground parkade with 1 stall. 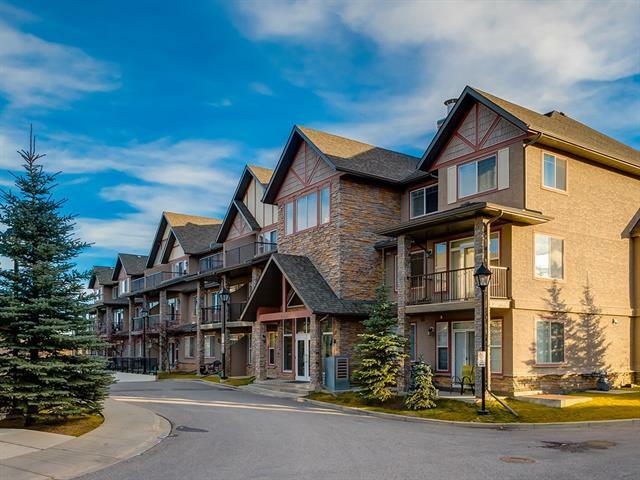 You will love the short 10 minute commute to the downtown core via C-Train or Car, easy access to Aspen Landing for restaurants & shopping. Aspen Woods is also home to some of Calgary's best schools including Calgary Academy & Rundle College. Listing provided courtesy of Century 21 Bamber Realty Ltd.. © 2019 CREB®. All Rights Reserved.